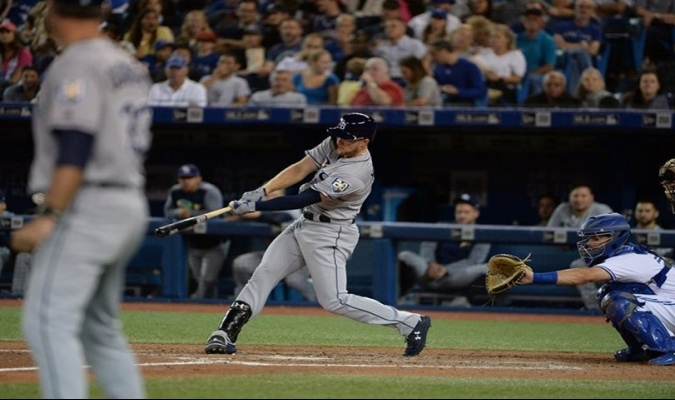 The gardener of the Rays from Tampa Bay, Austin Meadows, was recognized as the Player of the Week in the American League. Meadows hit 0.545 (from 22-12) with six annotated, two doubles, four homers, 12 driven and a scam. Moreover, he had a basic percentage of 0.630 and slugging of 1182 in six meetings from last week. Among the leaders of the young circuit, Meadows ready to be pushed in first; parts of the first place in hits; second average, slugging and total bases achieved; third in homeruns; and sharing the seventh place in the scoring. Meadows, who joined the Tampa Bay club last season as part of the trade that starter Chris Archer sent for the Pirates, is recognized by first time with the weekly award. It is also the first member of the Stripes when taking away the prize Steve Souza Jr.. after the week of April 23, 2017.